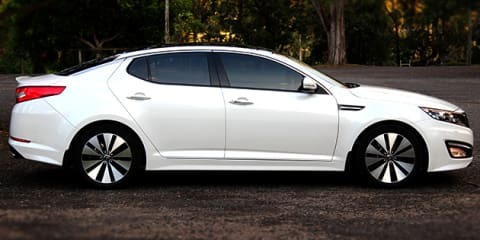 Famous for having a brand name that is an acronym for “Killed In Action”, Kia is also well known among Australians for pumping out cheap, yawn inducing cars in the 1990’s that you wouldn’t even wish upon your own mother-in-law.. unless you wanted her to die violently in a single vehicle accident. 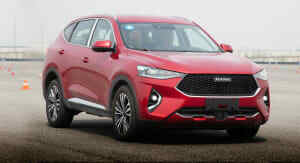 Along with Hyundai as their sister in crime, Kia maliciously introduced the Mentor and Sportage into the Australian market in 1997 as part of their two-pronged attack on the dignity of budget conscious motorists around the country. Unfortunately for Kia, the legacy these cars left hung around to haunt them – and it continues to do so to this day, as Kia still has a reputation among Australians for producing cheap throwaway cars even though this is no longer the case. So, the Kia Optima then. Beauty will always be in the eye of the beholder – but my eyes think Kia has nailed it. The Optima is simply stunning. Just like Scarlett Johansson. Beautiful lines and shapely proportions. Your mind will be thinking about one thing only – how you can get inside. Thankfully with the Optima, you won’t be on the receiving end of a restraining order if you try. All you need to do is part with 37,990 of your hard earned dollars for a new one, or considerably less for one… that has been around the block a few times. Rather expensive you’d say for a mid-sized car from South Korea, made by a company that specialises in cheap cars. But there’s a bit more to it than that. The Optima’s party trick is that it’s simply loaded with equipment. Kia threw absolutely everything they had at this car and it benefits greatly from it. Talking about equipment puts most people to sleep, so we’ll keep it brief – proximity entry and keyless push button start, a full length glass roof, full-auto dual-zone climate control, an 8-speaker Infinity sound system with sub-woofer and seats made from the finest South Korean cows that are both heated and cooled were my highlights from inside. Outside, the Optima has polished 18″ alloy wheels (with a full sized alloy spare) with HID headlights up front, teamed together with speed sensitive cornering lights and the now obligatory LED daytime running lights. The engine is a 2.4L 4cyl direct injection jobbie that was co-developed with Mitsubishi, so it should be fairly reliable long term. 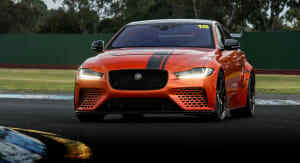 (You’ll find it’s bigger, turbocharged brother under the bonnet of a Lancer Evo 10). The engine is matched to a 6-speed semi-auto with flappy paddles, which turn with the wheel. On the road, the Optima performs remarkably well. The engine and gearbox get along like a house on fire and do a great job of pushing the Optima’s 1500kg heft. A 9.5 second run to 100kph is hardly scorching but in all fairness that isn’t really what the Optima is all about. The suspension is slightly on the firm side rather than cushy, but remarkably smooths all but the worst bumps in the road and keeps the car composed in most situations. In the wet the traction control steps in when required and seemingly still allows some minor slippage to occur, rather than cutting power all together. However, slam the throttle from a standstill and you’ll occasionally find yourself in a situation where the TCS will cut the power for a good second or two before bringing it back. Dangerous? Perhaps. But you get used to it and work around it. The Optima’s looks are key to it’s appeal. Rolling down the street in a car that looks this good for under $40,000 is a pretty amazing achievement. I’ve never been in a mid-size sedan that has turned this many heads. 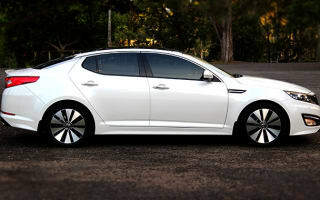 The exclusivity is increased even further when you consider the Optima has failed to gain a foothold in Australia mid-size car segment, where it faces off against favourites such as the Mazda6 and Volkswagen Jetta. There simply aren’t that many Optima’s on the road, which makes you feel just a little bit special. I can’t even decide whether the new Mazda6 manages to look more modern than the Optima – it’s that good. Despite it’s size, the Optima is a doddle to drive in the city, thanks to excellent visibility and reversing sensors and rear camera as standard. Get it out on the highway and you’ll be equally impressed. Set the cruise control to 110kph and you’ll find the Optima’s cabin a quiet place to pass the time. 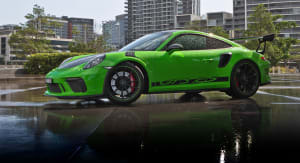 The engine itself is also reasonably refined – only making itself heard above 3000rpm. So far, so good. 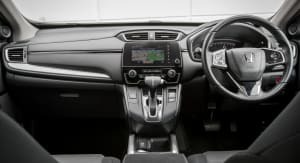 I’ve been in and around the Optima for the past 2 years now and while it has all generally been all sunshine and smiles, like a Yoghurt commercial, there are a few things that you might want to consider. For a start, there’s the question of build quality. Overall the Optima comes across as being a very well screwed together car. No pieces of trim have come off and nothing has broken or otherwise gone wrong with the car like you might have expected. Instead, it’s the little things. Things like the chassis being not quite as stiff as you might expect. Its common to hear associated flexing or popping noises coming from the glass roof arrangement, especially when entering car park ramps or other situations where the body is put under torsion. It might sound like a small issue – but it sticks out like a sore thumb against the rest of the car, which has a more premium feel to it. There’s a few other suspicious noises evident on my car as well. Hit a bump whilst turning a corner and an alarming knocking noise comes through the steering column. I haven’t reported the issue to Kia yet so it might just be an easy fix. Or it might not be. Another issue? Kia talks at length about their “GDI” direct injection technology, and indeed the engine itself is an impressive performer. But the issue I have is the thirst of the thing. On the highway it’s fine – 5 to 6 litres per hundred is easily achievable. But in the city expect these figures go through the roof. If you keep it in ECO mode and drive using about the same amount of power as a harnessed child, you’ll perhaps see 10L/100km in typical city traffic. But if you switch the dashboard away from the economy readout and just drive the Optima normally, this figure will rise to 12 or even 13L/100km. In an age where manufacturers are switching to smaller, turbocharged engines with stop/start technology to improve fuel economy whilst still retaining power, the 2.4L engine in the Optima comes across as a bit of a dinosaur. The use of a conventional automatic transmission (instead of a more efficient dual-clutch gearbox) also would not be helping the cause. Kia recommends 91RON fuel. I tried 95 and 98RON on a few different occasions and didn’t notice any difference in power or economy. Another potential problem is the Optima’s large front and rear overhangs. I’ve grazed the nose a few times on driveway entries and as a result the wear becomes visible along the bottom edges of the bumper. The rear is less troublesome – with the mud flaps somehow being the only part of the car to scrape. Other Optima’s I’ve spotted out in the wild have all sported wear on the nose, so it is far from an isolated incident. In the end though, I’m being very picky here. The bottom line is that yes, overall the Optima is a great car. And yes, depreciation means a well looked after example is the used car buy of the century. If you’re in the market for a mid-size sedan, ignore the Kia Optima at your own peril. 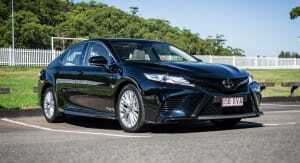 There are safer bets to be made by purchasing a Mazda6 or Ford Mondeo. But if you can get your mind past the name that’s on the badge, you’ll find a great car with generous equipment levels and looks that’ll set you apart from all the other cars clogging our roads. I fully expect that given another 10 years of development, Kia will become a major player in the automotive industry – and the Optima shows us they’re well on the way to achieving this goal.